• America's Original and Most Realistic Grunt Call! • Adjustable Twist Tone Tip and Striker Paddle • Makes All Grunts: "Clicking" Buck Courtship Grunts, Doe Social Grunts, Aggressive Grunts, Rutting Buck Grunts • Freeze Proof Friction Design. "This one does it all!" • Makes all Vocalizations and Snorts. • Open and Close the Bullseye Tuning Port to Add Inflection and Change Pitch of Call • Inhale for Bleats/Exhale for Grunts. "Lost Contact Bleat" • She's Lost, Lonely and Looking for a Buck • Tuning Port Makes Pitch Change Easy. • Makes Contact Calls, Estrus and Plain Bleats and More • Expansion Tube Changes from Buck to Doe Voice. "Inhale/Exhale" • Inhale/Exhale for the Rapid, Excited Grunts of Rutting Bucks • Automatic and Effective! • Includes Lanyard. • "Hush Cap" keeps call quiet while walking • Makes "Hot" Estrus Doe Bleats • Automatic...Just Tip It Over! Calls Bucks and Does. Note from GameCalls.net Pro-Staff: This one sounds more realistic than the other brands we've tested and is a little deeper in tone. • Comfortable in-mouth calling • Tone adjustable from buck grunts to doe bleats by sliding the "o" ring or biting down on the reed. • Hands free operation allows you to call while drawing your bow or aiming your gun. • Realistic and Easy-To-Use • For Aggressive Rattling and Calling • Makes accurate Danger "Snorts, Threatening Sniff-Snorts & Sniff-Wheezes" • Great During the Rut or to stop running deer! "Hands Free grunt & bleat" • Separate, Removable Grunt And Doe Bleat Cartridges • 3 Great Call Designs In one:"Hands Free", "Pushbutton", "Tube Call" • 6 Great Call Sounds In One: "Plain Buck Grunts", "Contact Calls", "Aggressive Grunts","Hot Doe Bleats", "Tending Grunts", "Distress Bawl". "Extra loud" • Creates Excitement! A must East or West. • Great for Coyotes, Fox and Other Predators. • Also calls....Whitetail, Mule Deer and Blacktail • LOUD Distress Cries and Bleats of Fawns. 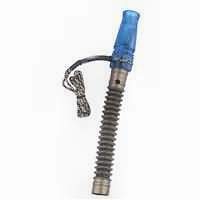 "Sliding o-ring" • Adjustable Reed for All Grunts and Bleats • 6 Calls in One! 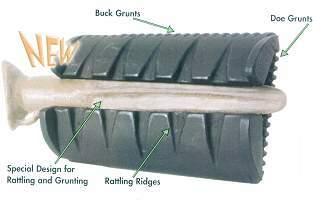 Loud Deep Grunts, Doe and Fawn Bleats • Expansion Tube Varies Tones and Deer "Voices". • Simple O-Ring Adjustments with Lanyard. • Ready To Breed "Hot Doe" Call • Brings Love Sick Bucks Running! • Simple and Automatic, just Inhale/Exhale • Buck Bawl Works Great on Call-Shy Bucks • How-To Audio Tape and Lanyard Included. "12 Calls in One" • 12 adjustments for all Buck, Doe, and Fawn sounds • 2 reed system for instant combo buck & doe calling •Works 3 Ways! Inhale/Exhale for hyper-grunting, Exhale for deep grunts or Inhale for brassy doe bleats • Expansion tube provides even greater control! 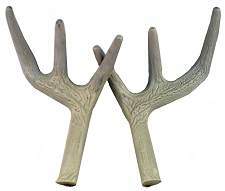 "Two full antler racks" • Two Full Racks Held in the Middle for Better Balance & Full Antler Contact.• No Finger Pinch, More Realistic Sound with Less Effort! • Bone Core™ Hollow Air Cell Construction for Realistic Sounds, premium polymer for strength. 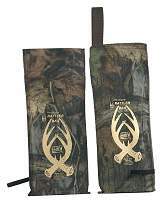 "A buck fight in a bag" • The Original Since 1985 • Belt-Hung Carry System for One-Handed Rattling • Premium Materials of Different Sizes and Shapes for a Balanced and Realistic Antler Rattling Sound • Elastic Band Wraps Around Bag for Silent Carrying. "Hollow Bone-Core for Realism. • Premium polymer for strength and "Bone Core" air cell Construction for Realistic Sound. • Perfect for Sparring or All Out Buck Fights. • RAKE the end of the tines on tree bark for realistic "tree raking" to lend authenticity to rattling sequences. This is the "hottest" new rattling technique. • ROLL the rods gently with one hand for the subtle antler tickling and sparring that is so effective in the early season. • Rattle the rods between both hands to snap, pop, and tickle the rods for realistic dominant fights. Very Loud! 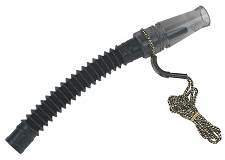 • Ribbed Antler Tines and belt loop for Bagless Rattling • Slip-lock silencer keep the rods quiet when not in use. Full Antler Contact Rattling System. 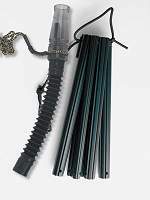 •Smack the Two Bundles of Rods together for Realistic Rattling "Fight Sounds" - Like Real Antlers without the hassles. •Scrape Tree Bark and Grind the Ribbed Rods Against Each Other. •Gently Tickle and Roll the Rods For Playful Buck Sparring Sounds. •Convenient Carry Strap Keeps the Bundles in Position. • Loud Distress Bleats • Soft Coaxing Mews • Calls Bucks and Does • Hardwood Body. "Adjustable" • Handsome Hardwood Body • O-Ring Adjustable Reed • Buck and Doe grunts • Doe and Fawn Bleats. "Brings Bucks Running". • Complete package for Pre-Rut, Rut and Post-Rut calling. 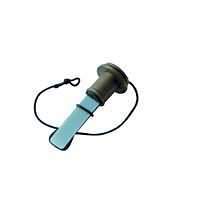 • ADJUST-A-BUCK Call with O-Ring Adjustable Reed, 6 calls in one. 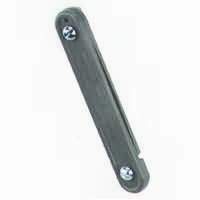 • Kit Includes: RAKE-N-ROLL RATTLING RODS. • One-Handed Snap, Pop and Tickle Rods. • Rods Fan Out to Simulate Antlers for Realistic "Tree Raking". 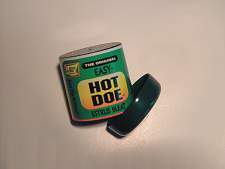 SUPREME BUC-N-DOE CALL Features:• 2 Reed Inhale/Exhale System for Instant Combo Buck and Doe Calling.• 12-N-1 Adjustable Deer Call Makes All Buck, Doe and Fawn Vocalizations.• "VOCAL WHITETAIL" DVD (90 Minutes): A to Z Video Dictionary of the Deer Language. Learn Deer Language from LIVE DEER. Learn What the Sounds Mean and How and When to Use Them. Watch and listen to the best deer callers of all! LIVE DEER! Then join Callmasters Jerry Peterson and Gary Sefton as they show you how to reproduce those sounds, what those sounds mean and when to use them. An A to Z video dictionary of "deer language" with breahtaking deer footage that includes all out buck fights. A must for your private collection! 90 minutes - DVD video format. The Deer Call Made for ALL SPECIES - Whitetail, Blacktail & Mule Deer Hunting! Learn common doe and distress sounds, and You can call deer any time of the year! ". This is the deer’s language. 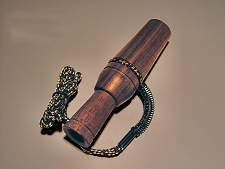 The Double Barrel Deer call is designed so you only need to carry one call with two different type sounds while hunting Deer. 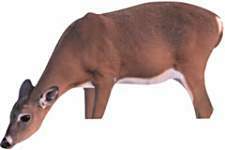 This call is designed to reproduce all the different grunts of the whitetail buck or doe on one side and all the different bleats and blats of the whitetail doe & fawn on the other mouthpiece. The versatility of this call allows you to use bleat and blat calling techniques on the grunt side of the call as well. So, when using the grunt side of the call, bleats and blats can be utilized in conjunction with grunts to create the sounds of a buck, doe, or fawn. This all new 16 Bit Phantom Pro-Series Wireless Digital Calling System is all you need to call in Whitetail and Mule Deer. 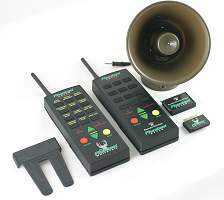 If you purchase additional sound modules (modules available below), the unit can be used to hunt other types of game including whitetail deer, turkey gobbler, moose, elk, bear or goose calling system. Since these units have 3 wireless channels, you can hunt in close proximity to others on separate channels or use multiple receiver/speaker set ups! Click to hear sample sounds of this caller. Note: These sounds are highly compressed for the website and will not sound as clear as the unit does in person. 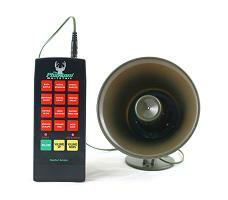 This digital electronic game calling system weighs only 28 ounces and is easier to use than your TV remote. 100% digitally mastered sound  recorded in the wild. If you push 2 buttons, it will mix the sounds! Powerful ABS 15 Watt Speaker is 125db at high volume, so it can be heard from long distances even in bad weather. Rugged all-weather ABS construction. Glow in the dark keys. Full volume control. LED on/off light. 9v battery operated with auto shutoff. Twelve Sounds in all including Six Whitetail Movement Sounds and Six Whitetail Vocalizations. Includes The Phantom Whitetail Digital Call, Compact all weather ABS 15-watt speaker, 60 foot speaker wire, and complete instruction manual with detailed calling instructions. The Predation Whitetail Series is the latest design in this new revolutionary field of wildlife calls. This new Whitetail Series takes deer hunting to the final frontier. Loaded with the ten purest and most redefined sounds available today for calling in the most elusive whitetails or muleys. Sounds such as the doe estrus bleat to the buck grunts and even the bucks fighting offer that true to life authenticity that makes one wonder if it is real. Does NOT come with a remote, but the remote can be added later (available below). Adding to this list of features is the ability to change the list of sounds to quickly transform your Whitetail Series Caller to a Predator or Crow caller for free by downloading the sounds from Western Rivers wesite: HERE. (**Requires USB cable Model # 565 to copy these sounds to the unit, available below) . View the Predation Support and Troubleshooting Guide. You will need the Adobe Acrobat Reader to view this guide. If you don't already have this reader, it is available HERE. If you are running Windows 98 (most computers built 1998 - 1999 have Windows 98) and want to use a card reader, you will need to download the driver HERE. 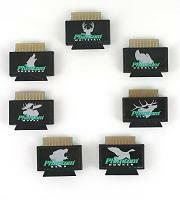 Ready to upgrade your Predation Jr. or Whitetail Series call to a remote-controlled unit or lose your existing remote? The Predation remote control easily programs to any unit at the touch of the button(s). Easy to follow step-by-step instructions allow you to reprogram your existing Predation unit to this remote. Remote controls your unit up to 100 yards. Now the novice, as well as the advanced outdoorsman can use the right call at the right time. Cass Creek Game Calls has captured wild game recordings all in a single hand-held device. Outdoor enthusiasts such as hunters, photographers, hikers, and nature lovers will find the product very useful. Has the following 5 sounds: 1. Buck Grunt (communication & mating call), 2. Snort / Wheeze (highly agressive call before fighting), 3. Tending Grunt (pre mating call), 4. Lost Fawn (stressful drawn out call used by young deer separated from mother), and 5. Rattling Antler (bucks fighting, often draws a third attempting to steal the doe). Features: External speaker / head phone port, true sound recordings, operates on 3 AAA batteries (included), natural bark camouflage finish, convenient belt clip or strap clip, on/off dial volume control, "Sure-hold" rubberized grip, lightweight - easy to carry, water resistant, easy to operate push button sound activation with overlap/interrupt, one finger selection allows for in close calling, light on/off indicator, automatic shut off in 2 minutes, convenient single hand-held size & operation minimizes movement. 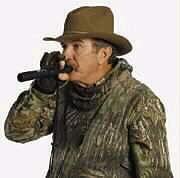 Endorsed by Jimmy Gage - Renowned Whitetail Deer Hunter. 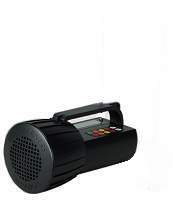 **High power amplified speaker available below. Now the outdoorsman can amplify any Cass Creek Game Call and Training Device extending its game calling range. Lure in game from even greater distances. (check your local game laws for legal use.) 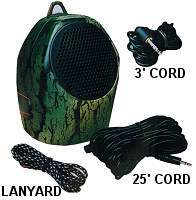 Features include Lanyard attachment lip, easy to carry lightweight pocket size, Natural bark camouflage etched finish - blends into natural environment, single hand directional calling, 25' cord separates caller from sound source, powerful amplified speaker multiplies animal calls with separate power source, lanyard for quick treee and shrub attachment, 3' cord for in close calling, mini cord jack, On/off switch, Operates on 4 AA batteries (batteries required). The Predation Deer Mini Caller is ideal for adding a realistic calling pattern to your hunting experience. Making the right call at precisely the right time gives you the edge you need to call the elusive whitetail. The Deer Mini Caller offers you five digitally mastered, authentic, whitetail recordings. 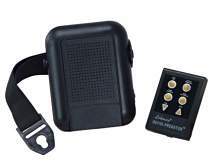 The Predation Deer Hunter II Mini Caller expands the variety of sounds not supplied on the original deer caller. This unit will assist in calling in those animals that lock up and won't answer. The Deer Hunter II offers five digitally mastered, authentic recordings. 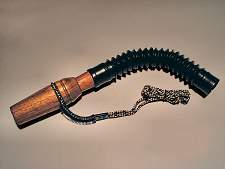 The RubberNeck™, with the push of a button, converts from a mature buck grunt to a young buck grunt or an estrus doe bleat. For the ultimate tone and volume control, just squeeze the megaphone end. You can use the call with the traditional lanyard around your neck or strap it to your right or left arm so your call is easily accessible at those critical moments. we are excited about having perfected this rubber grunt call for the avid whitetail hunter. 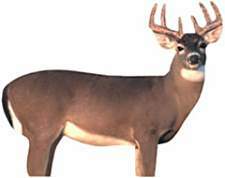 Features Totally Rubber, Converts from a mature buck to an estrus bleat with the push of a button. Will not freeze up! This new inhale grunt call is even more realistic than the original. It's completely rubberized., so you'll have no fear dropping it while drawing and making noise. Squeeze to make grunts with inflection. The Hammer Head, is the newest innovation in the world of Deer grunt calling. The Hammer Head has a flared mouthpiece for comfort and control. The internal parts are designed with ice less non-freeze up features as on the famous Ridge Runner Deer Call. The volume enhancing horn has a threaded adjustment feature. This threaded adjustment feature enables you to change the length of the call from 8” to 10 1/2 “ giving you a full range of tone and volume adjustments with a simple twist. This first of its kind adjustment feature eliminates the noisy expandable tube style grunt calls. This radical new call offers a full range of volume from whisper soft to the loudest grunt call on the market. 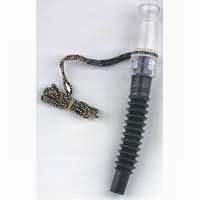 When using this, call put the flared mouthpiece to your lips and blow air into the call. The harder you blow the louder the call will be. To adjust the tone twist the horn in to raise the pitch, twist out to lower the pitch. When there are no deer in sight make 4 to 6 grunts every 20 to 30 minutes. When you see deer, grunt and check their reaction, call to them accordingly. Most deer will try to circle the calling position from downwind. Try a Quaker Boy Hammer Head and twist yourself to success! The Hands Free Hammer will stack the odds in your favor when you need both hands on your gun or bow. The Hands Free Hammer will never freeze up no matter what the conditions. The Hands Free Hammer is simple to work. 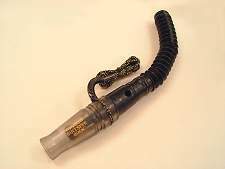 When you want the call to grunt simply put the oval mouthpiece between your lips and gently blow air over the reed. To bleat just place your lower front teeth on the slot in the sounding board and your upper lip on the reed, gently blow air across the reed and move your upper lip till you hear the sound you are trying to imitate. Minimize your movement maximize your calling effectiveness with the great new Hands Free Hammer from Quaker Boy! 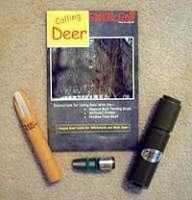 The Pipe Bleat Call is a very compact easy to operate Doe Bleat Deer Call. The realistic tone quality of this call was designed to sound similar to the deadly Bleat in Heat. This Mylar reed style call is built to last. When using this call, place the mouthpiece between your lips and gently blow air through the pipe. The tone can be adjusted by cupping your hand around the end of the call. The Bleat should last from 1 to 2 seconds. Bleat 4 to 6 times every 30 minuets when no deer are in sight. When you see a deer that is not coming into range Bleat to check their reaction and call to them accordingly. Bring that Deer right down the Pipe with a Quaker Boy Pipe Call! A proven performer with easy, pre-marked reed adjustments that help you reproduce the right pitch. 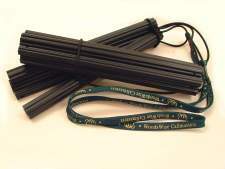 Features a flexible, expandable tube and lanyard. The Ridge Runner Deer Call revolutionizes the art of grunt calling for whitetail bucks. The biggest problem with mylar reed and plastic tongue assemblies is that if too much moisture gets under the reed, the call will stick or freeze up. This is guaranteed not to happen with the new tongue design of the Ridge Runner Deer Call. This tongue design is patent pending and will work in all hunting and calling situations. 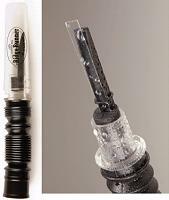 The Ridge Runner Deer Call is also tone adjustable by lengthening or shortening the tube. Mike Beatty used this call in conjunction with "THE CAN" - Easy "Estrus" Bleat (below) to call in the Potential NEW Non-Typical World Record Whitetail which had a B&C Score of 304 6/8. This call is one of a kind. It includes a built in compass! Inhale-Exhale operation. Throaty grunts and clicking tones of aggressive bucks to estrus bleats and cries of does. Single and double-reed options, all in one call. 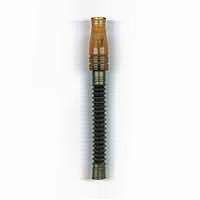 Dual reed assembly for inhale buck or doe and exhale buck or doe. 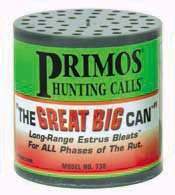 This is the can that helped to get "The Beatty Buck" which had a B&C Score of 304 6/8. Mike Beatty used this call in conjunction with the Power Buck and Doe (above) to call in the Potential NEW Non-Typical World Record Whitetail. Simple to use! Just turn the call upside down and back up for a perfect bleat every time. Reproduces the pleading bleat of a doe in estrus - perfect for the rut! 100% FREEZE PROOF!!! Has a built in silencer to keep it quiet when you walk through the woods. 100% FREEZEPROOF!!! Smaller for higher pitched bleats of young does. Perfect for early or late season hunting. To use simply turn the call upside down and back up for a perfect bleat every time. Has a built in silencer to keep it quiet when you walk through the woods. Magnum Buck Tending Grunt. Mule deer, white-tailed deer and antelope bucks respond to this call. Does perk up and come in to see. It makes bucks jealous. 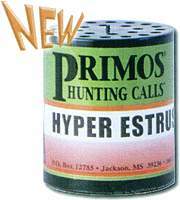 Use with or without rattling antlers and scents. It is simple, yet strong with volume, doubling your chance of success on bucks. Whitetail Stalker. This call duplicates the soft, low grunts of a white-tail buck in rut. It almost seems magical the way this call pulls white-tails in to you. We have received lots of great testimonials from white-tail-country hunters on this call. It works on antelope and mule deer as well. Pee Wee Fawn Bleat - This little call is great for bringing in does and fawns. It makes bucks stand up and flush. It also works great as a predator call. Patent Pending 2-in-1 design for perfect grunting and rattling. Rattling ridges designed for super loud rattling. "Versi-stick" tapered design allows for easy tickling and full-rage fights. Compact design is easy to carry. Perfect for both buck and doe grunts. WARNING! Use at own risk. MAY CAUSE DEATH or INJURY! You don't fish without a lure. Now you don't have to hunt deer without one either? WHITETAIL BUCK. 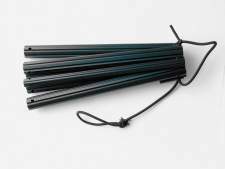 Instant set-up, ultra light, holds scent, durable, hangs from a branch or free stands. This is some of the best/least money you’ll spend on whitetail hunting. Period.. WARNING! Use at own risk. MAY CAUSE DEATH or INJURY! You don't fish without a lure. Now you don't have to hunt deer without one either? WHITETAIL FEEDER DOE. 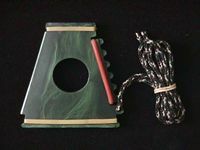 Instant set-up, ultra light, holds scent, durable, hangs from a branch or free stands. This is some of the best/least money you’ll spend on whitetail hunting. Period..